The other day I was thinking about how I got to this point. How I became a photographer. Something hit me! I was never really "taught" to be a photographer. No one ever told me I had talent as one and that is what I should pursue. Life, the universe, kind of just led me here. Without me even knowing. Some background: I went through the public education system. I have always been creative, and knew that art had to be in my life somehow. I was once a straight A student (in grade school, not high school lol). I once thought getting good grades would make my father happy. I thought it would make me happy. It didn't! In 8th grade, for career day, I was a Zoologist. Too much schooling for my taste on that one. In high school I worked at CVS in the photo department. In my one year of college I took one photography course, Photo 101. I'm sure you have seen it before. 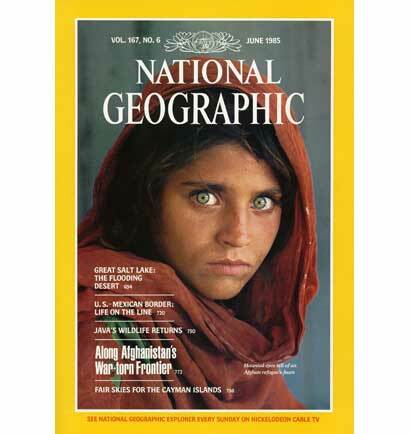 It's Steve McCurry's. I remember gazing through page after page, staring into different people's lives. Seeing the different emotions and lifestyles. Seeing the amazing wildlife photography and wishing I could be the one behind the camera. I know I'm not alone in this passion for National Geographic. And I'm sure it's not as pleasant of a job as it seems. Though, it wasn't the traveling to exotic places that intrigued me. The people intrigued me. Portraits intrigued me. Being able to capture someone's spirit and emotion with a camera is what truly inspires me. The people in front of my lens and even in my day to day life are my inspiration. Something I had to learn gradually I think. Actually, I think it was there the whole time. I know I'm no comparison to the Nat Geo photographers, but my love of National Geographic, my love of libraries and self learning, my part time job at CVS, and my kids brought me here. Not school. I can't tell you one class, besides my photo course in college, that truly inspired me to get to this point. And it's okay that it didn't. I was self and universally guided to this point. I was a schooled unschooler and didn't even realize it until the other day! This realization also brought me some relief from my anxiety over home educating my own children. I now understand why I feel that it's the right choice for them because it's the choice I had made for myself. It's what got me here. School is just where I went through the motions. My own inner teacher and amazing children are what have and will continue to guide me from now on.